RaMell Ross is an artist, filmmaker and writer based in Rhode Island and Alabama. The images in this exhibition were assembled from The Do Good Fund’s collection of Southern photography and were taken in and around Hale County, Alabama, a photography hotspot of the South, where Ross has lived and worked since 2009. In his art, Ross addresses the ideas and imagery that exist within the region, particularly those of the rural black experience. Narrative in nature, his work invites interpretation, intentionally obscuring meaning, making space for varied perspectives and reflections and deconstructing preconceptions. The Do Good Fund, Inc., is a public charity based in Columbus, Georgia. 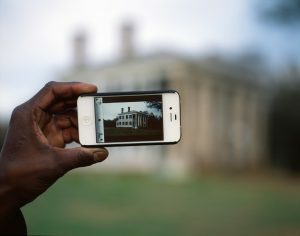 Since its founding in 2012, the fund has focused on building a museum-quality collection of photographs taken in the American South since World War II. The collection ranges from works by more than a dozen Guggenheim fellows to images by less well-known emerging photographers working in the region. Do Good’s mission is to make its collection of over 500 images broadly accessible through regional museums, nonprofit galleries, and nontraditional venues and to encourage complementary, community-based programming to accompany each exhibition. For more information visit www.thedogoodfund.org.